<Whispers> There’s nothing magical about YETI products. 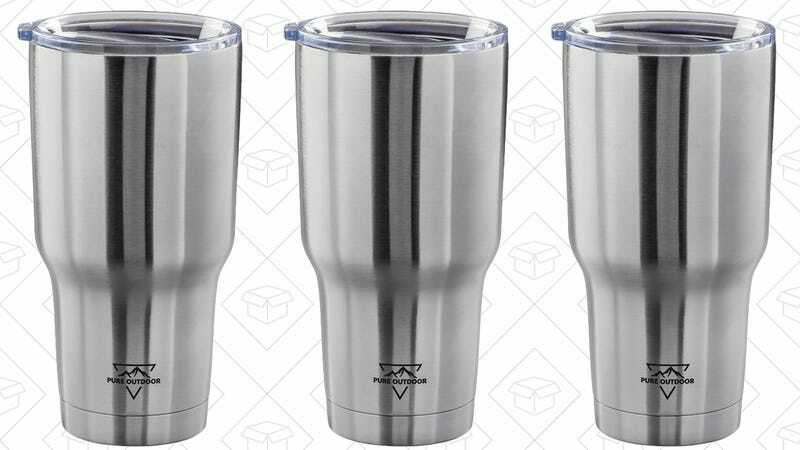 Vacuum-insulated stainless steel tumblers are fantastic, don’t get me wrong. They really can keep ice frozen all day long, and they look really cool while doing it. But they’re all basically the exact same thing, so don’t overpay for a brand name. Get three 30 oz. tumblers from Monoprice for $22 today with promo code TUMBLER (just add three to your cart manually).